Your Android phone or tablet is useful on its own, but sometimes it’s just easier to use a computer. Maybe you start taking notes or write something on your phone or tablet, and you decide to continue that task on your computer. In that scenario, you can share clipboard content copied on your mobile device to your computer, and vice versa. We’ve talked about an app called Pushbullet before, which allows you to see your Android notifications on your computer, send and reply to messages from your computer, and share links between devices. However, if all you need to do is share clipboard content between your mobile device and your computer (PC or Mac), we have a simpler method. It involves a service called Snapcopy, and we’ll show you how to use it. 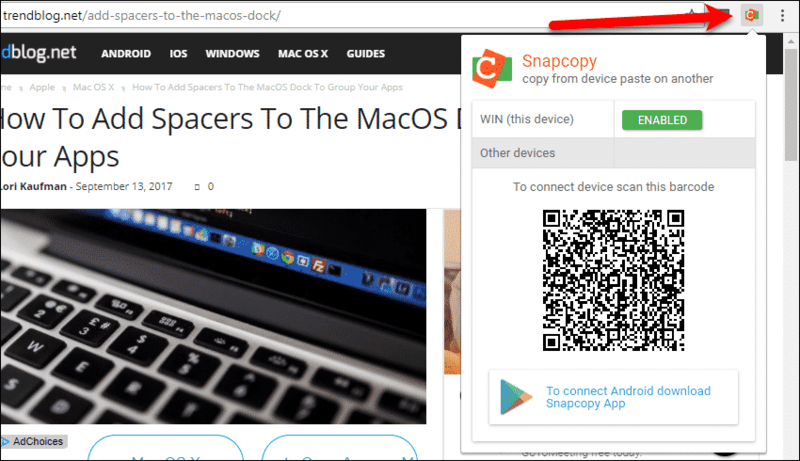 First, open Chrome and add the Snapcopy extension. 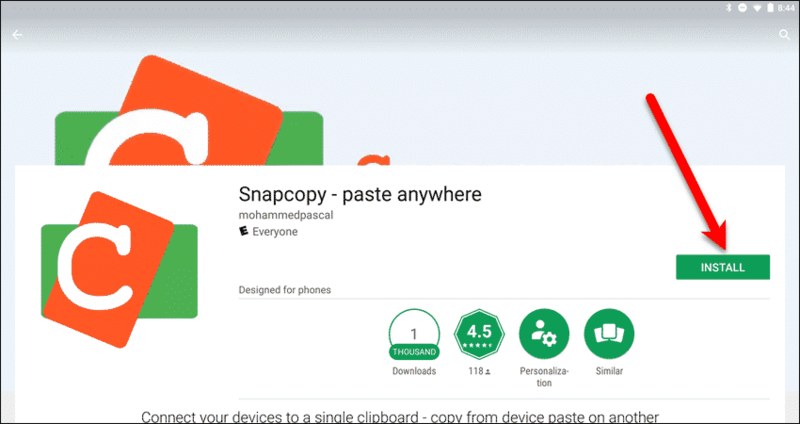 Next, install the Snapcopy app on your Android device. Now, you need to connect your Android device and your computer through Snapcopy so you can share clipboard content. In Chrome on your computer, click the Snapcopy button on the toolbar. 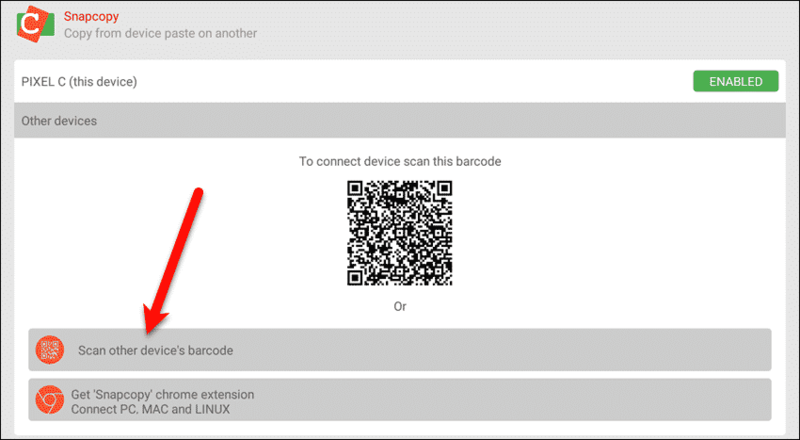 A popup dialog displays a QR code. Open the Snapcopy app on your Android device and tap “Scan other device’s barcode“. Aim the camera on your Android device at the QR code on your computer’s screen until your device reads the code. … as does the Snapcopy extension in Chrome on your computer. Now that your Android device and your computer are connected, you can share clipboard content between the two. You can copy and paste content in both directions. To copy content on your Android device to paste into a program on your computer, tap and hold on some content on your device and drag the handles to select it. Then, tap “Copy” on the popup toolbar. For our example, we copied some text from an article on Trendblog in Chrome for Android. However, you can copy content from almost any app on your device, like a messages app or an email client. Go back to your computer and paste the content into any program that takes that kind of content, like a text editor or word processor. You can also copy content from almost any program on your computer and paste it into an app on your Android device that accepts that type of content. Again, for our example, we copied text from an article on Trendblog. However, you can copy content from almost any program on your computer, like a text editor, a word processor, or an email client. On your Android device, open the app into which you want to paste the content. Tap and hold to access the popup toolbar and tap “Paste“. For our example, we pasted the text into an Android text editor app. 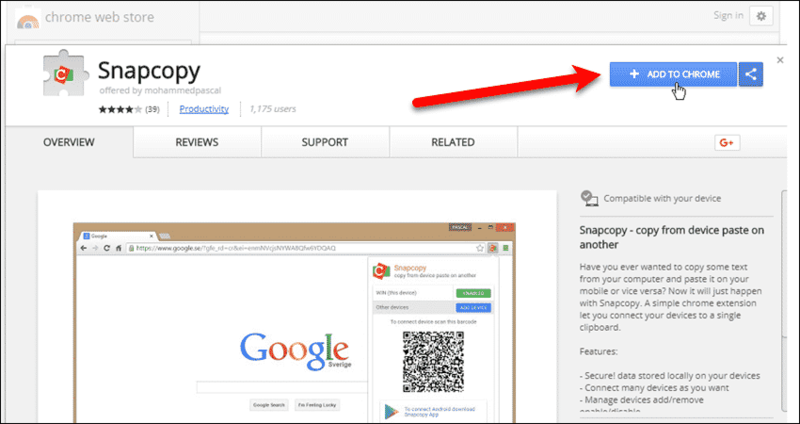 You can also share clipboard content between two Android devices using Snapcopy. Simply aim the camera on one device at the QR code in the Snapcopy app on the other device. Then, copy and paste the content you want. Have you found other ways to share clipboard content between an Android device and a computer? What type of content do you share between devices? Let us know your ideas and experiences in the comments.